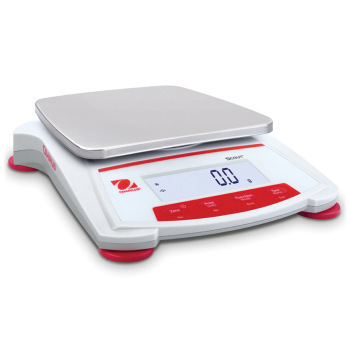 OHAUS Explorer® Ultra High Capacity Balances, Balances & Scales: OHAUS: Educational Innovations, Inc.
OHAUS Explorer High Capacity balances provide unmatched functionality in a line of high-performance, high-capacity balances unlike any other on the market! 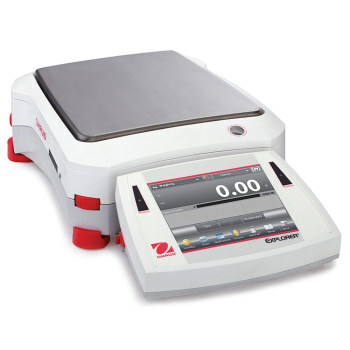 OHAUS Explorer High Capacity balances provide unmatched functionality in a line of high-performance, high-capacity balances unlike any other on the market! 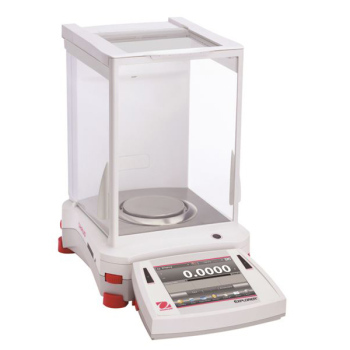 This smart and intuitive balance simplifies even the most complex high-capacity laboratory measurements. A large color touchscreen gives access to the advanced application modes and icon-driven application software features such as user manager, library, and minimum weight indication. 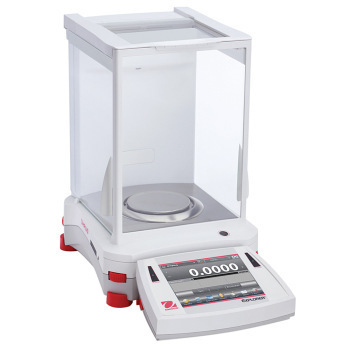 2-D shock protection and IP54 base enclosure protect the balance from damage, while the AutoCal™ automatic internal calibration system ensures performance. 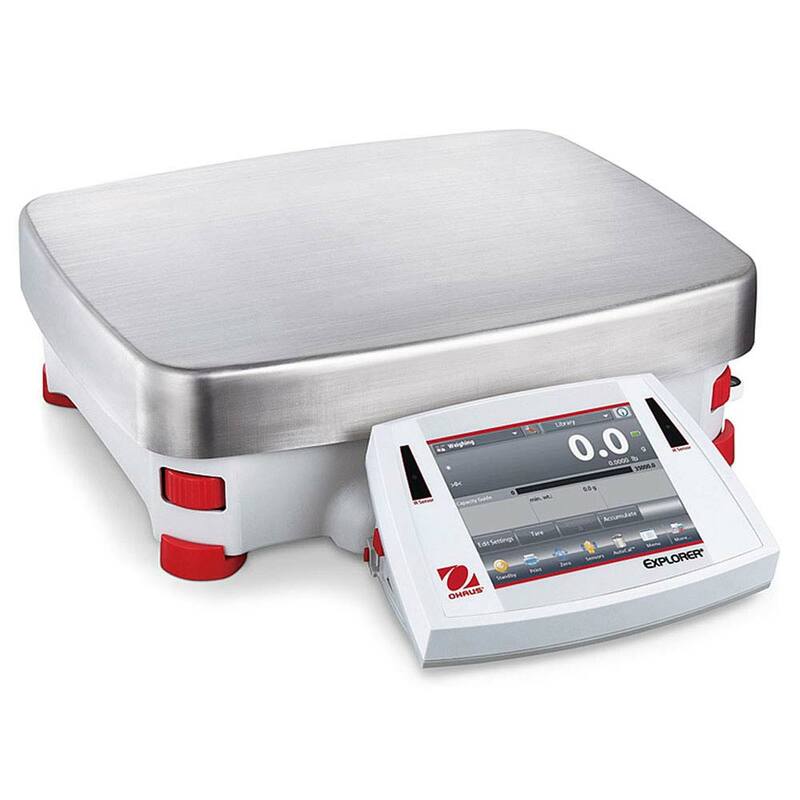 Explorer's sturdy modular design features a color touch display that can be separated from the weighing base as well as two programmable touch-free sensors and a large weighing pan.